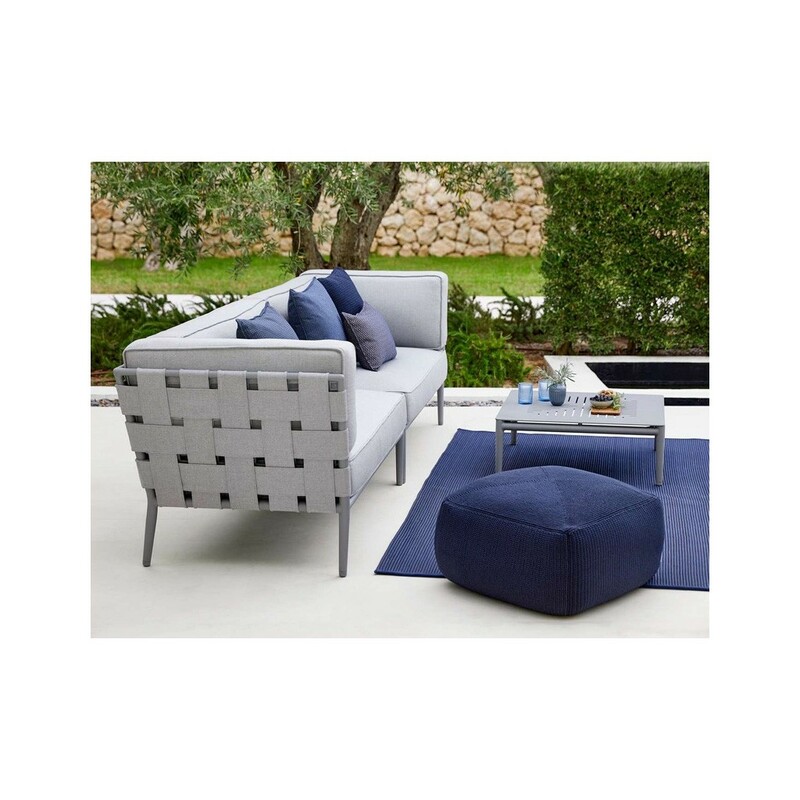 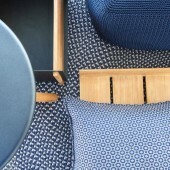 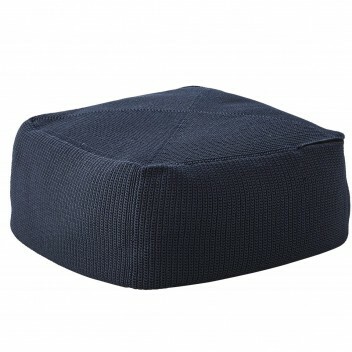 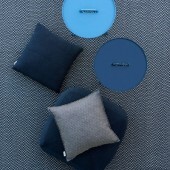 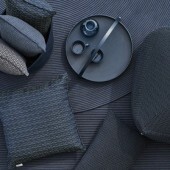 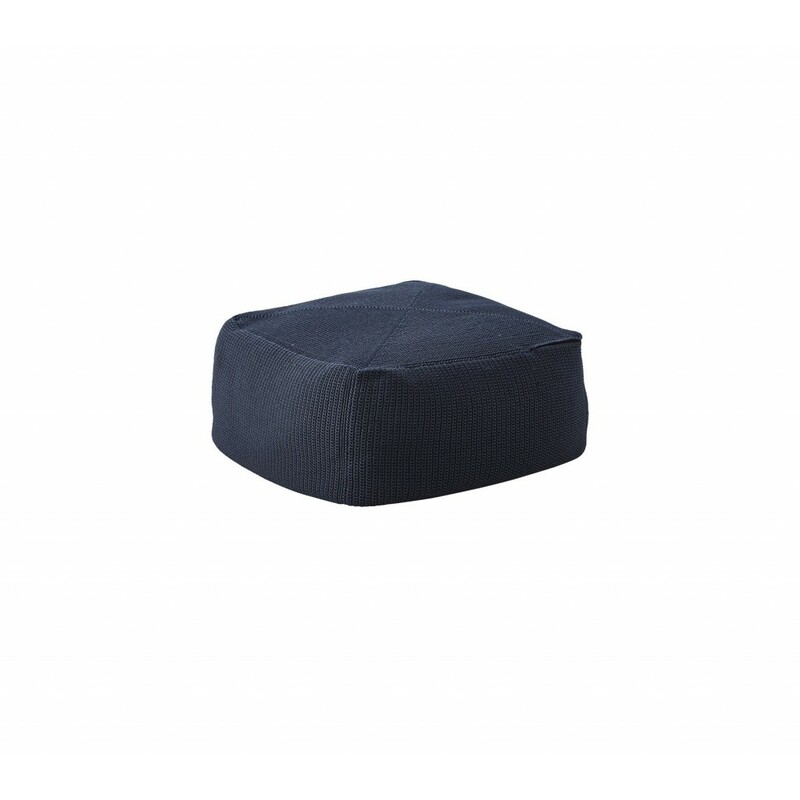 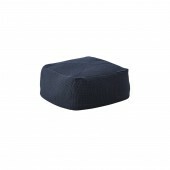 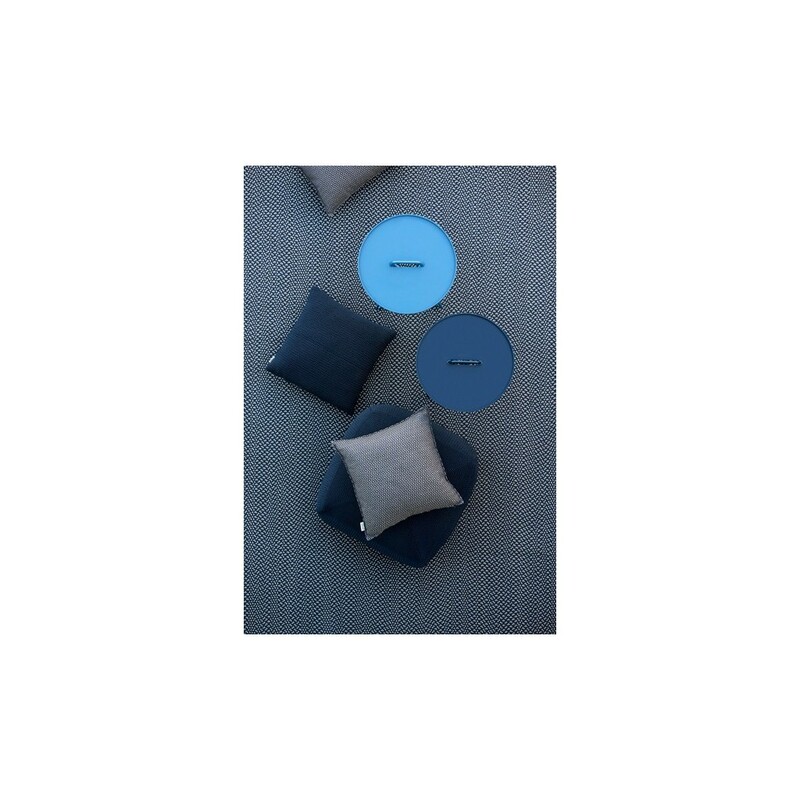 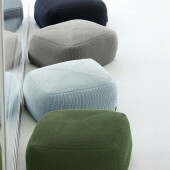 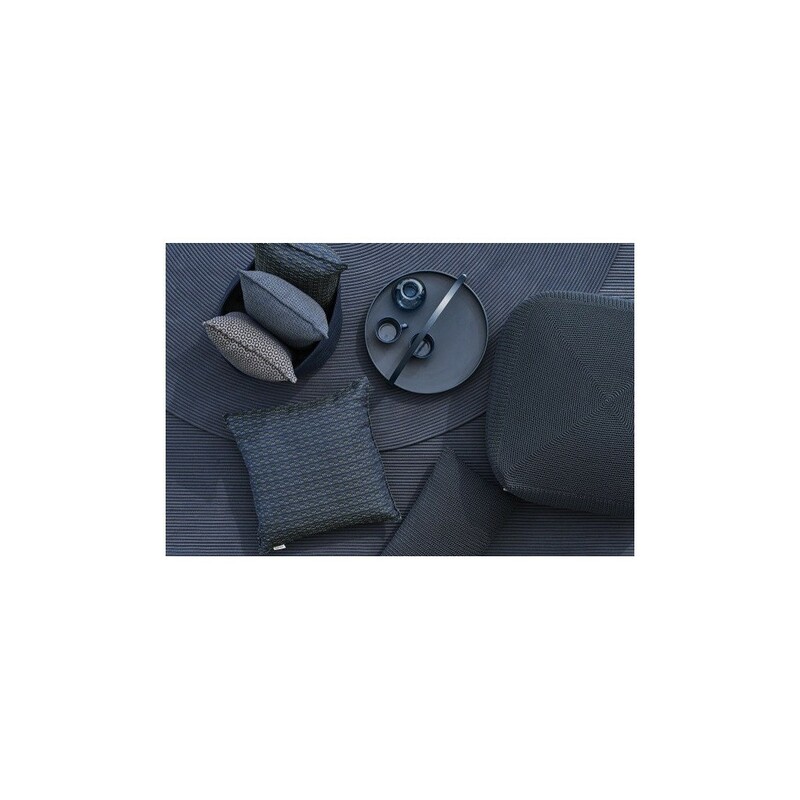 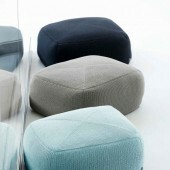 Puf DIVINE FOOTSTOOL 55x55x35 Midnight Blue. 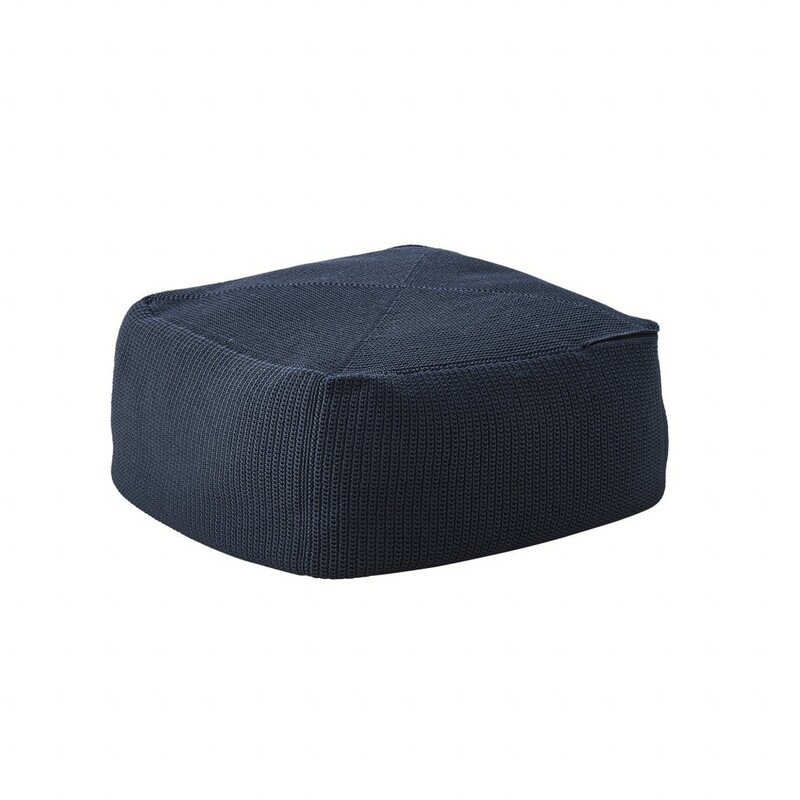 Puf wykonany z polipropylenu do zastosowania zarówno wew. 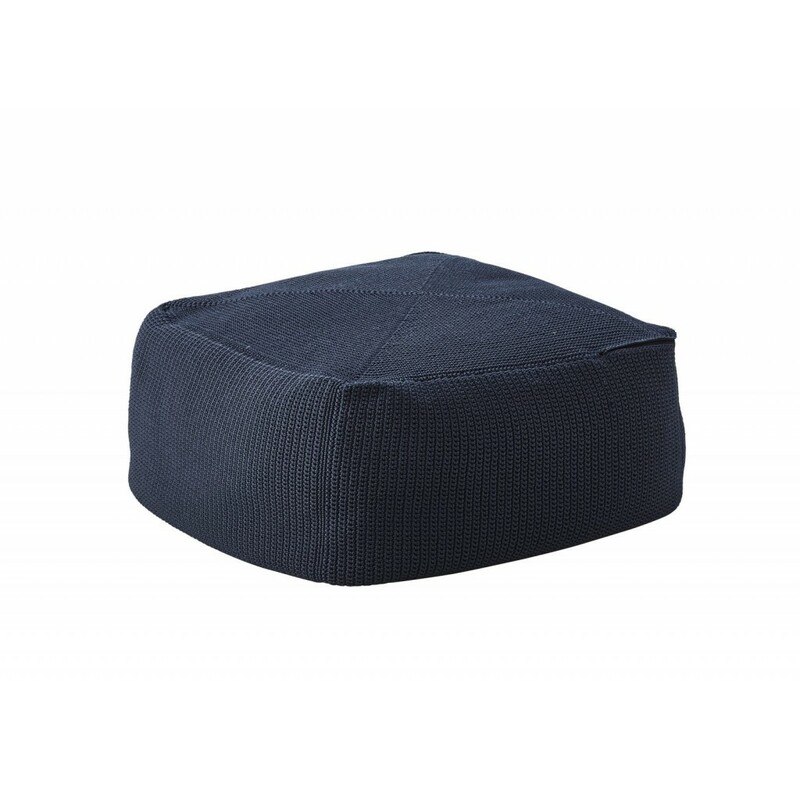 jak i na zewnątrz. 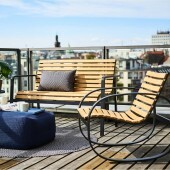 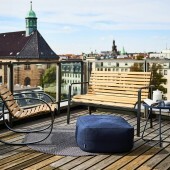 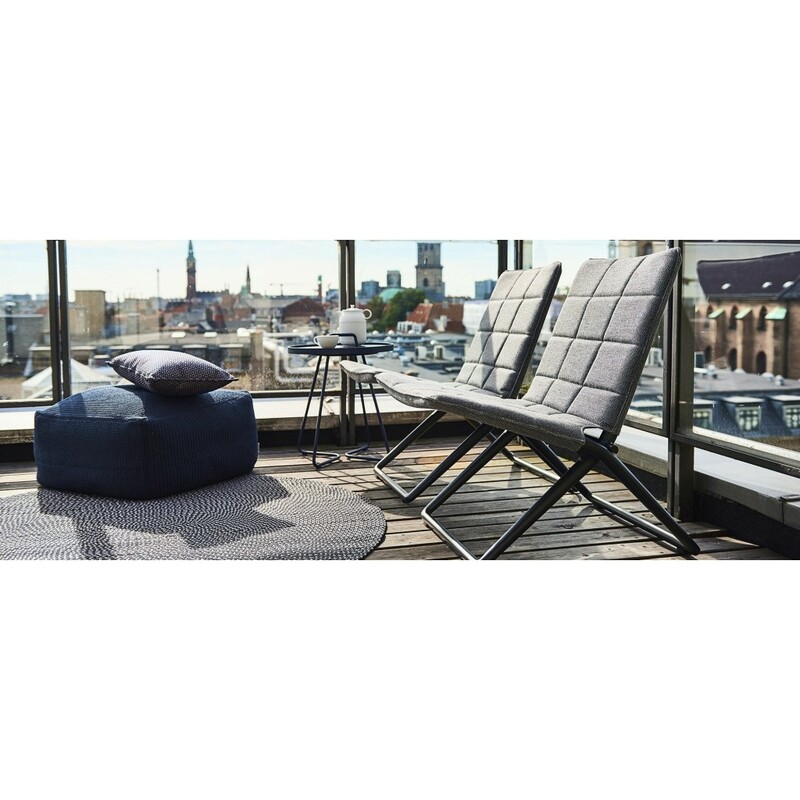 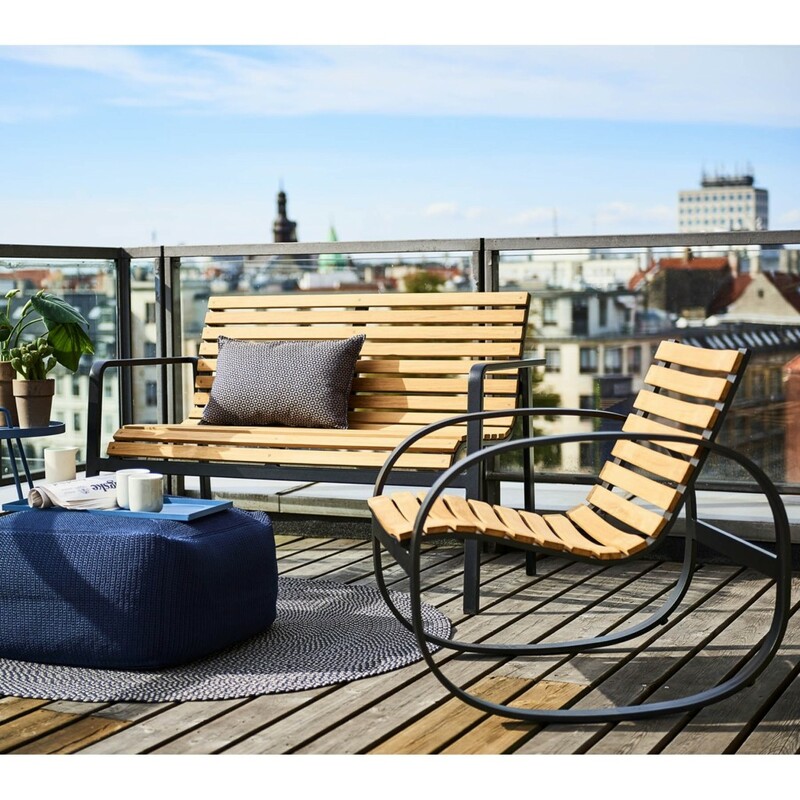 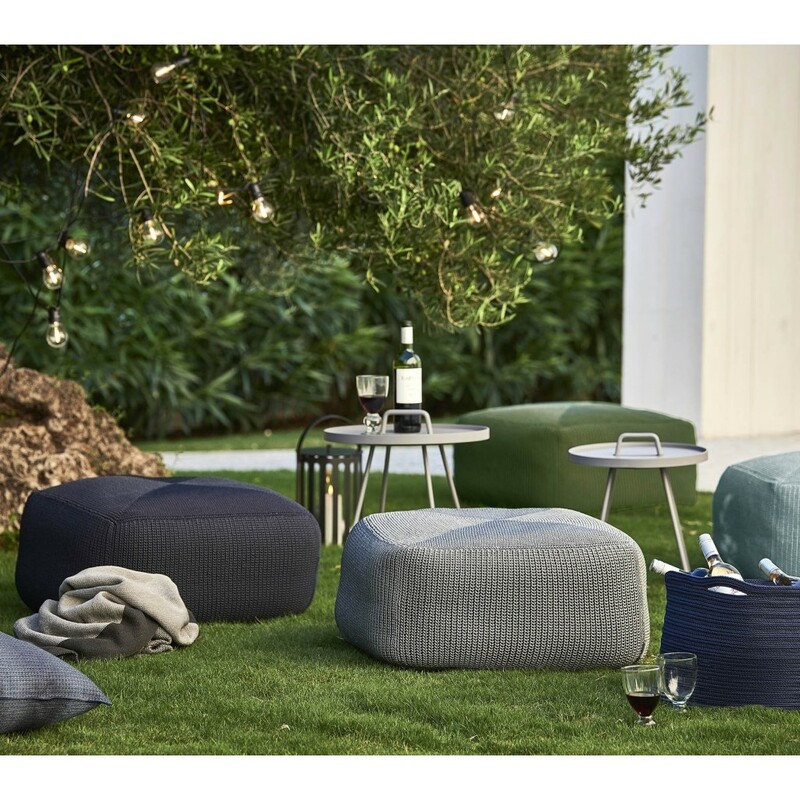 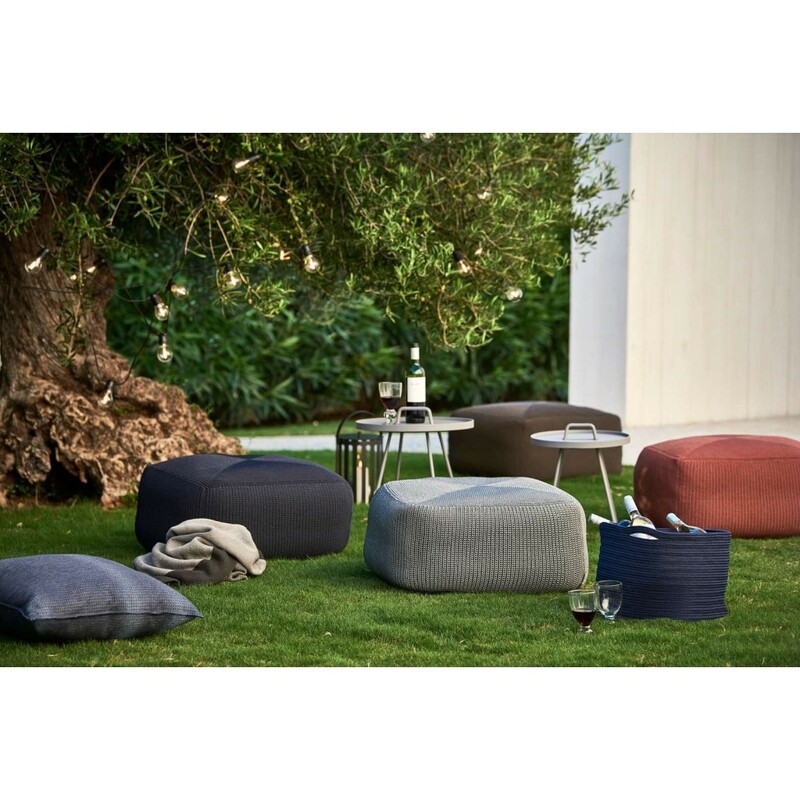 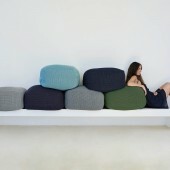 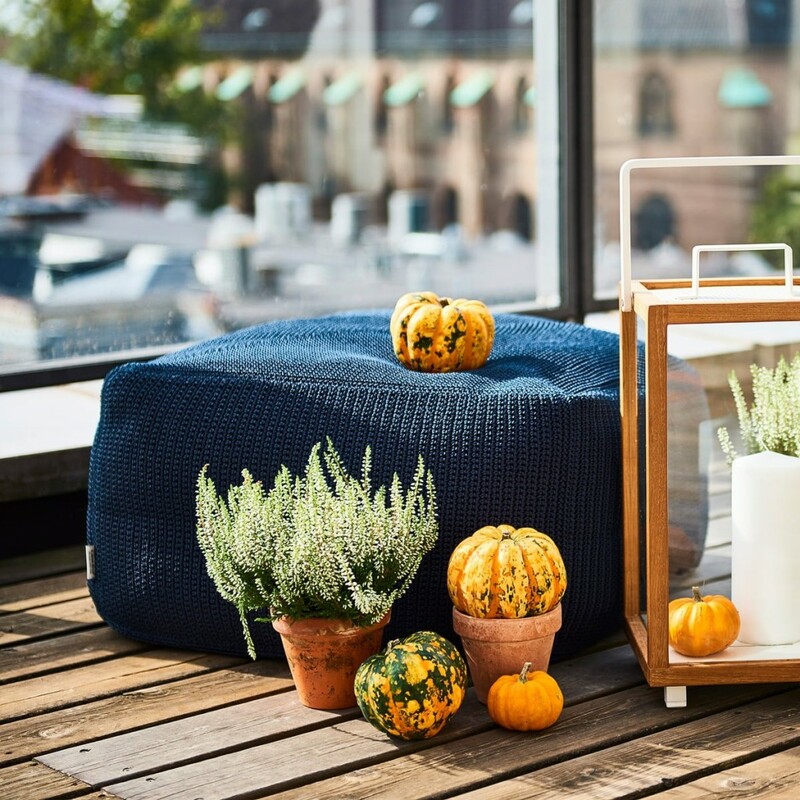 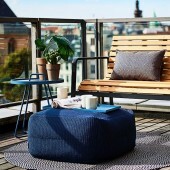 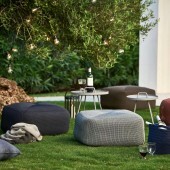 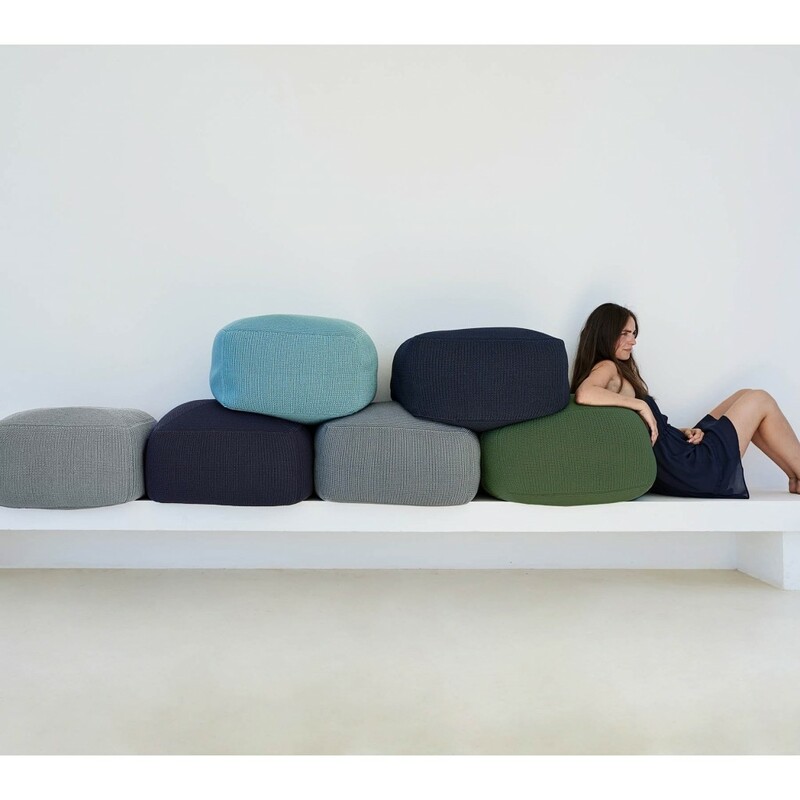 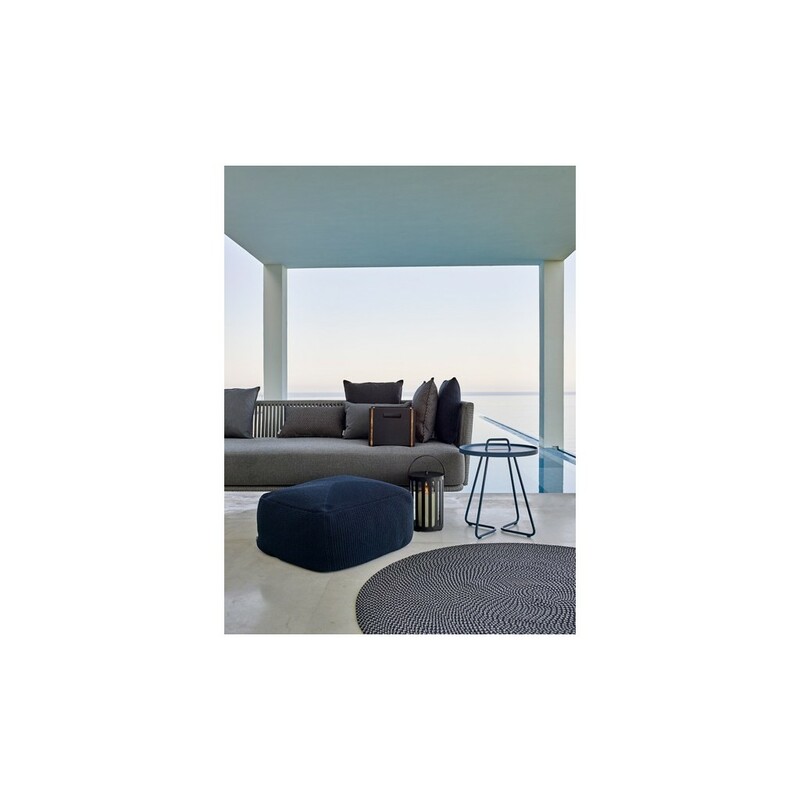 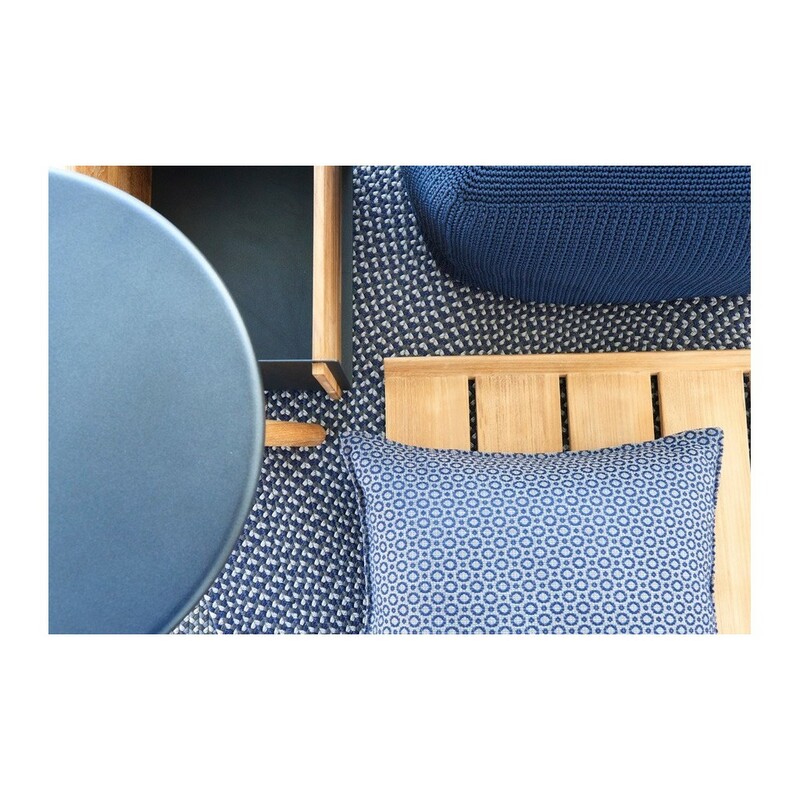 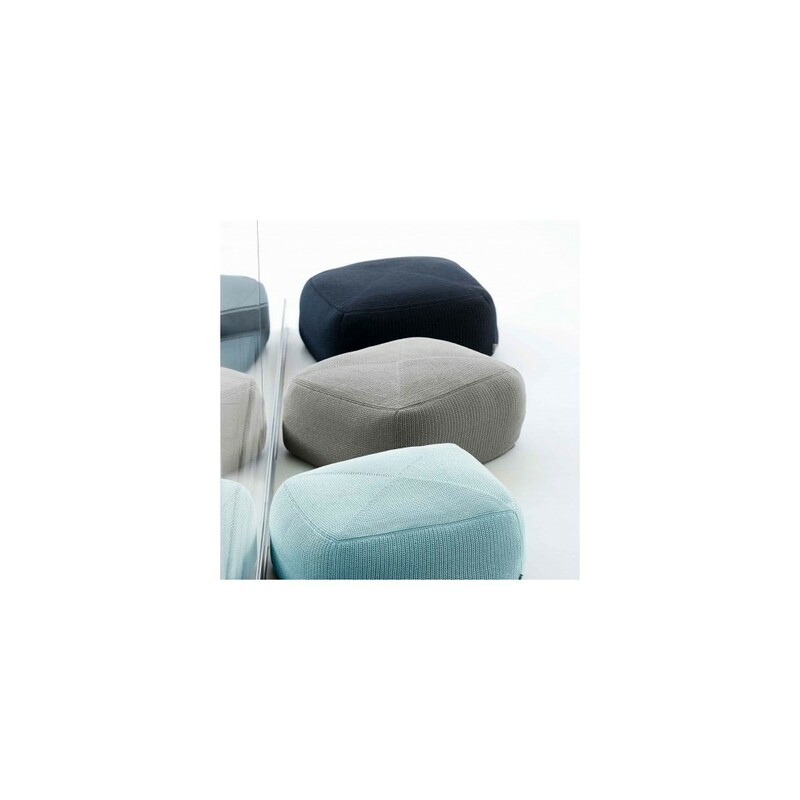 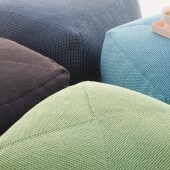 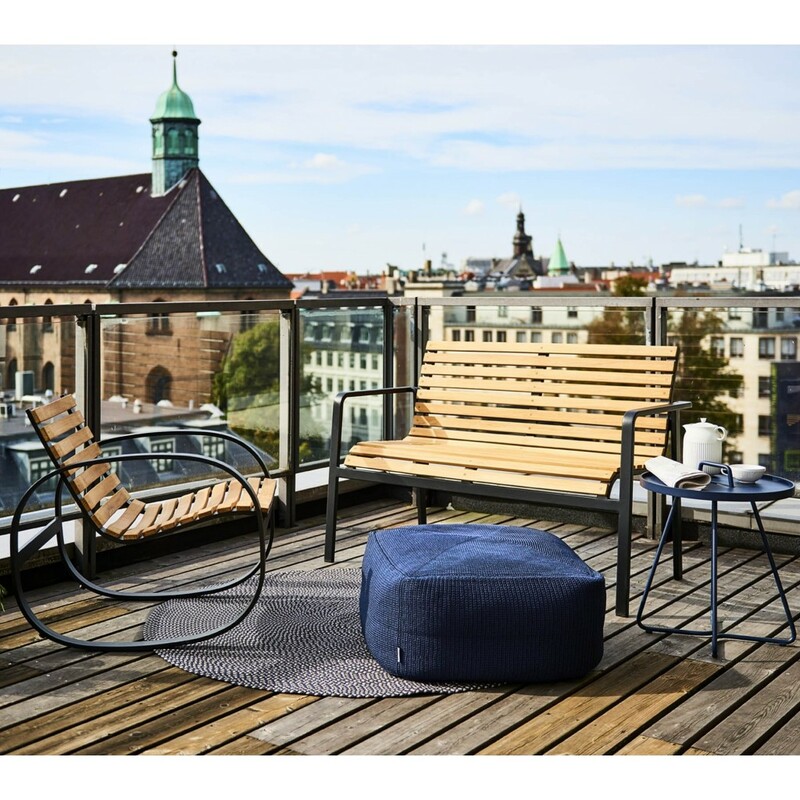 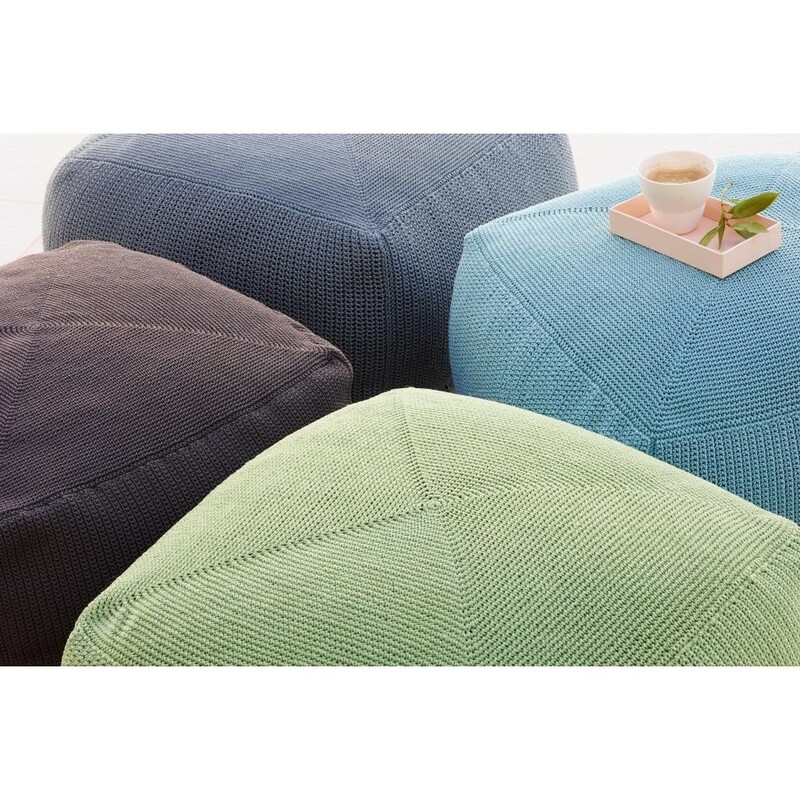 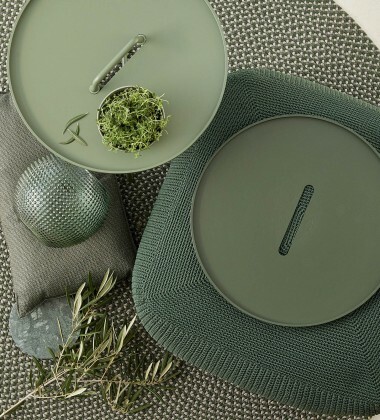 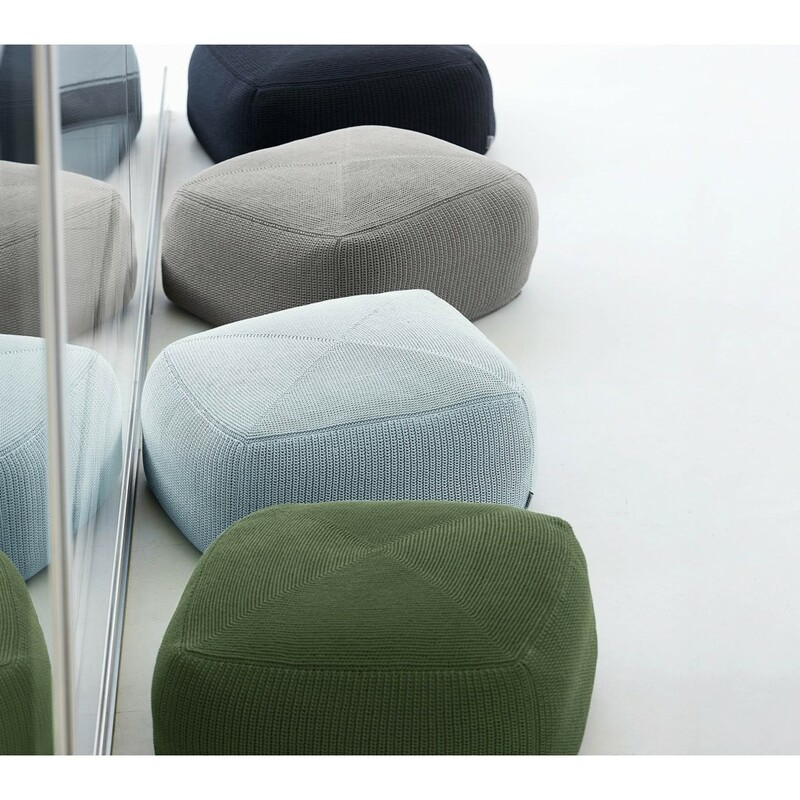 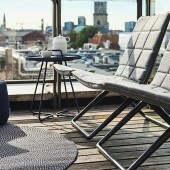 Divine footstool is a hand-made product with a unique fabric in Selected PP (polypropylene) suitable for both indoor and outdoor use. 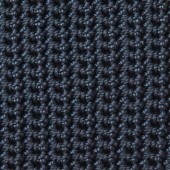 The covering fabric is created by crochet technique. 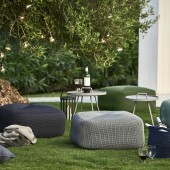 Divine footstool is a hand-made product with a unique fabric in Selected PP (polypropylene) suitable for both indoor and outdoor use. 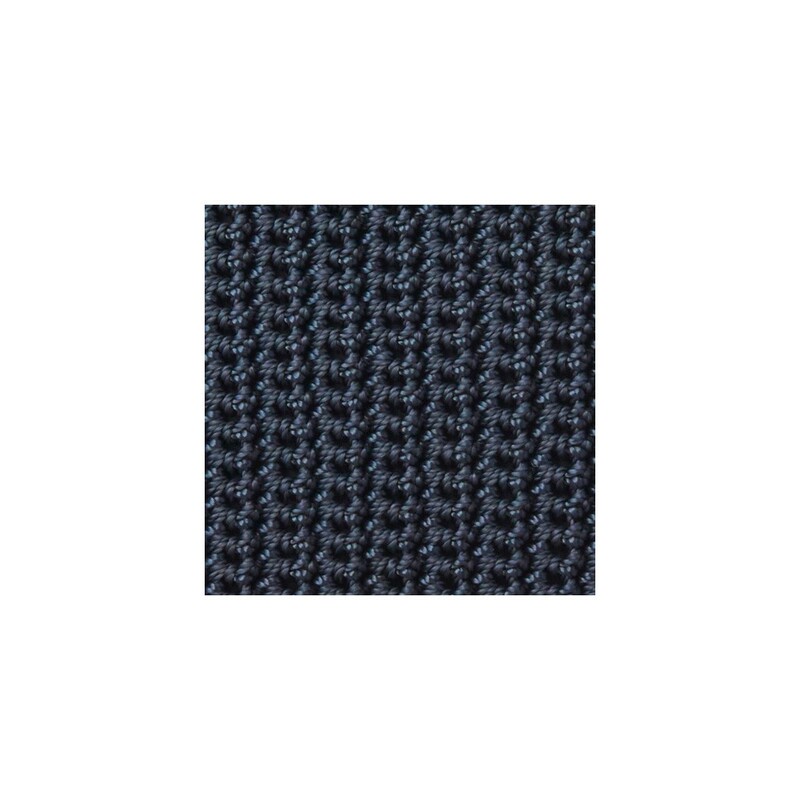 The covering fabric is created by crochet technique. 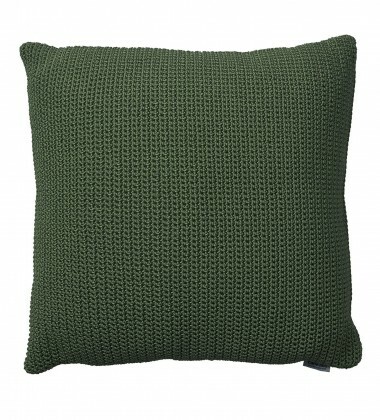 Crochet is performed by one crochet hook and takes one person many days of concentrated work. 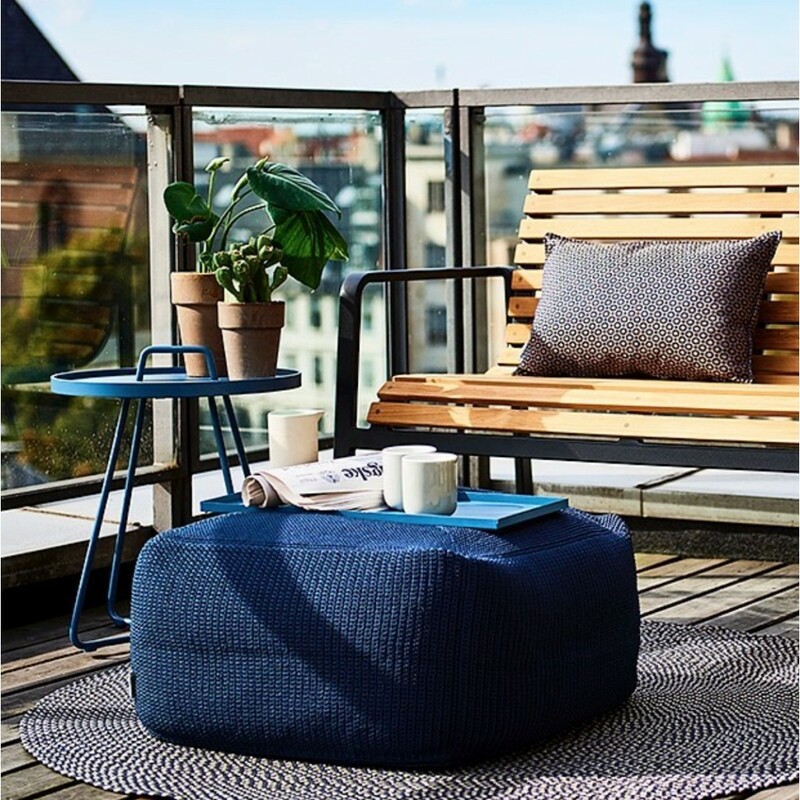 The pattern on top of the Divine footstool is an experience in itself and add an extra dimension to this footstool, whether or not it is used indoor or outside.